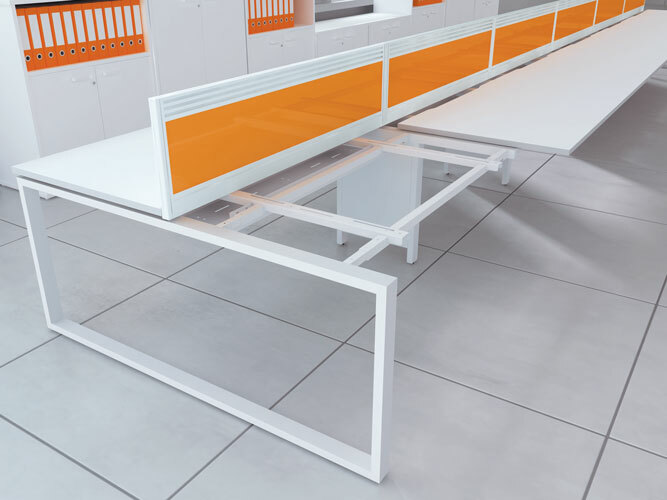 Using bench desks in the office can be a great way of making the most efficient use of your office space as well as your budget. 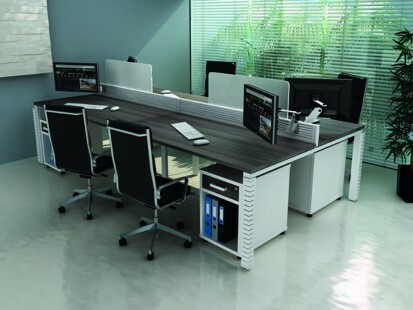 Office bench desks are ideal for large open plan office environments where desks are used by a large number of staff and especially if you have a requirement for hot desking. 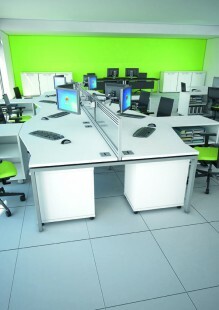 At The Designer Office we supply some of the best bench desks in the UK. 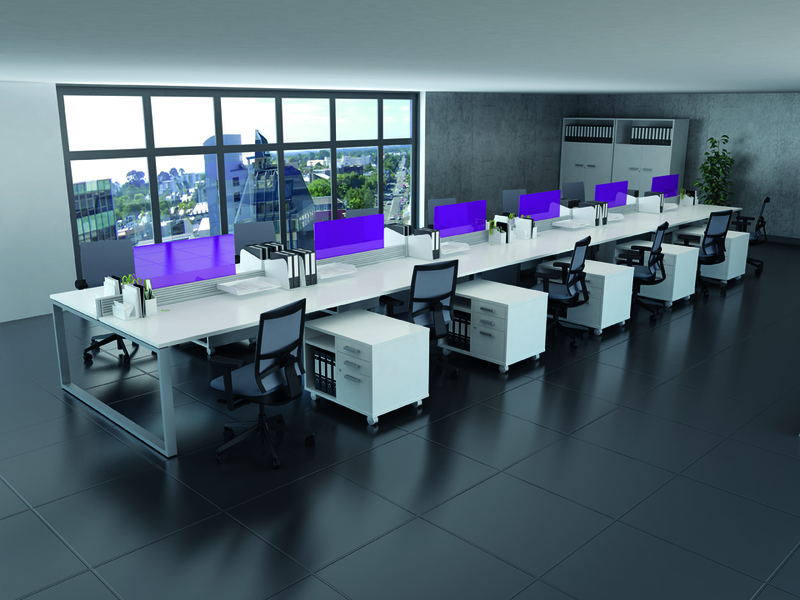 iBench is our premium and most popular range of bench desking and it offers a full compliment of desking with additional pedestal and storage solutions. 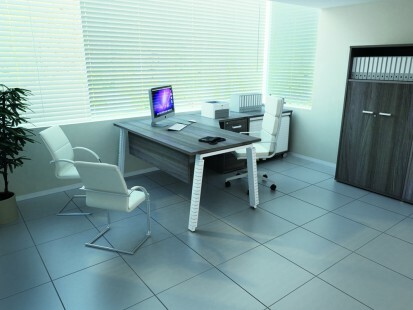 Using bench desks in the office is growing in popularity due to their functionality and highly contemporary look. 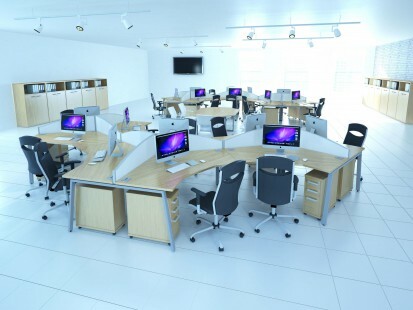 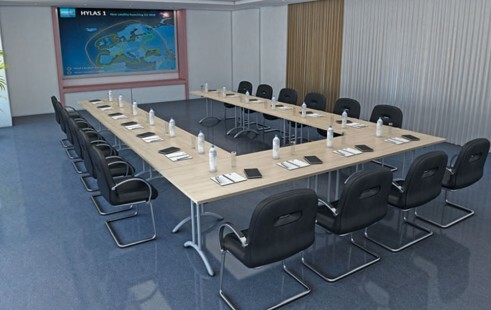 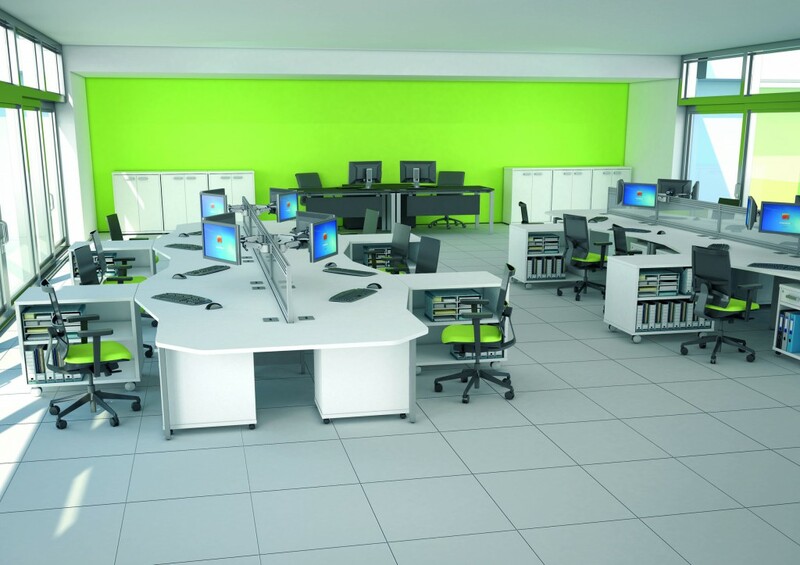 They are perfect for fitting out call centres and any office environment where there is a strong need for collaboration across the team members. 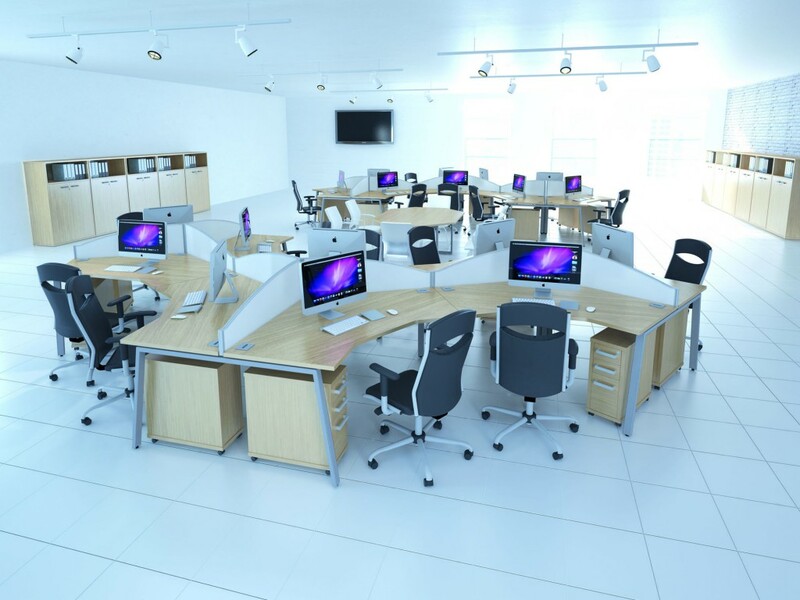 Not only that, office bench desks can have a significant effect on reducing the footprint of an office because they are able to accommodate a lot of staff. Some of the features that bench desks have include smart cable management and optional extras such as privacy screens and accessory bars. 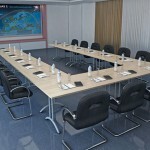 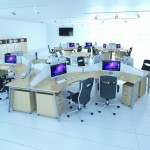 This gives you plenty of flexibility when you are designing your office space. Bench desks can be used parallel to the wall or double-sided so that staff can face each other as this allows for greater collaboration across your team members and can help to foster a good team spirit. Using bench desks in your office gives you plenty of options for shaping the environment so that it fits in with your needs. The clean, contemporary lines of bench desks make them a very popular choice for the office. 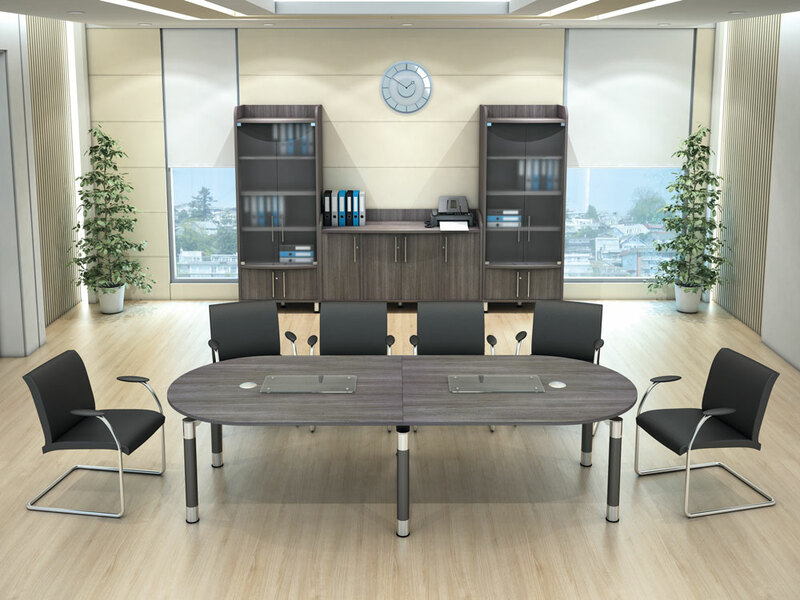 If you are looking for that smart, modern and cutting edge look then bench desks are a good option for you. 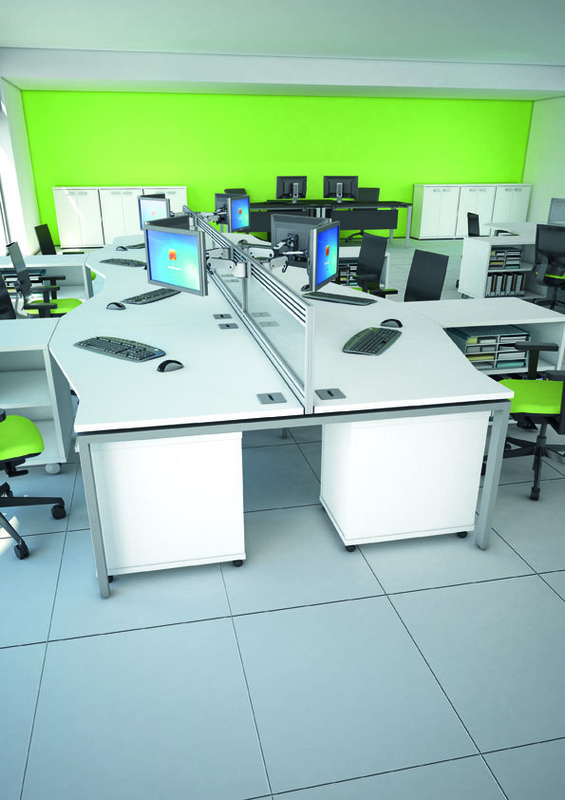 Many busy offices and especially call centre operations are opting for bench desk solutions. The Designer Office is one of the leading suppliers of bench desks in the UK and we can help you create the perfect office environment. 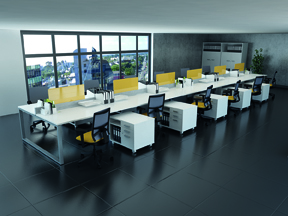 We offer free delivery, installation, planning and design on our premium iBench range so please get in touch if you need any advice. The iBench range offers both versatility and functionality as well as looking the part. 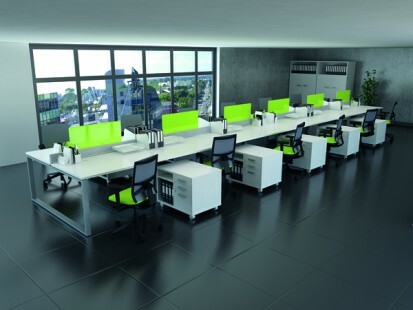 Leg colours come in either white or silver.